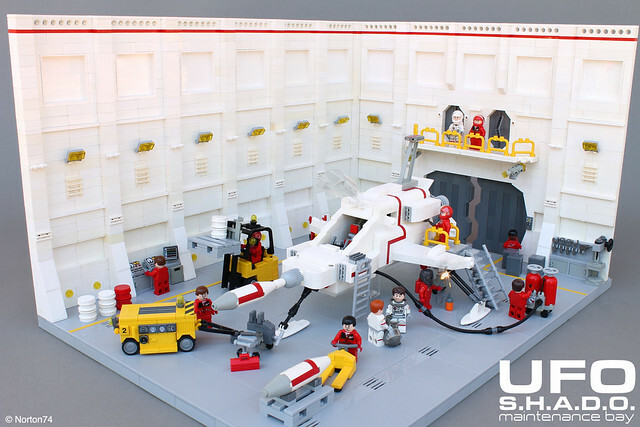 If you're a fan of Gerry Anderson's UFO (and even if you're not) you have to appreciate the love and care that went into this awesome S.H.A.D.O. maintenance bay by builder Norton74. To further enhance the viewing experience I highly recommend visiting this link and listening to what is my opinion one of the greatest TV themes of all time.